Designing a minimalist website that instantly captures the attention of website visitors is no easy task. Website designers who are building such a website will have to focus both on the content and design side. Fortunately, there are plenty of minimalist website templates out there. These feature-packed website templates will help you to easily design stunning but minimalist websites. However, several website designers are a little bit hesitant to choose minimalist website templates. This is mainly because they have a misconception that these templates might fail to make their website look great. The reality is that the innovative features, handy tools, and other components in these templates will help you design good looking websites. In fact, sites build with these templates also has the ability to engage and entertain site visitors. Some of the best and most popular minimalistic website templates that you should try this year are as follows. 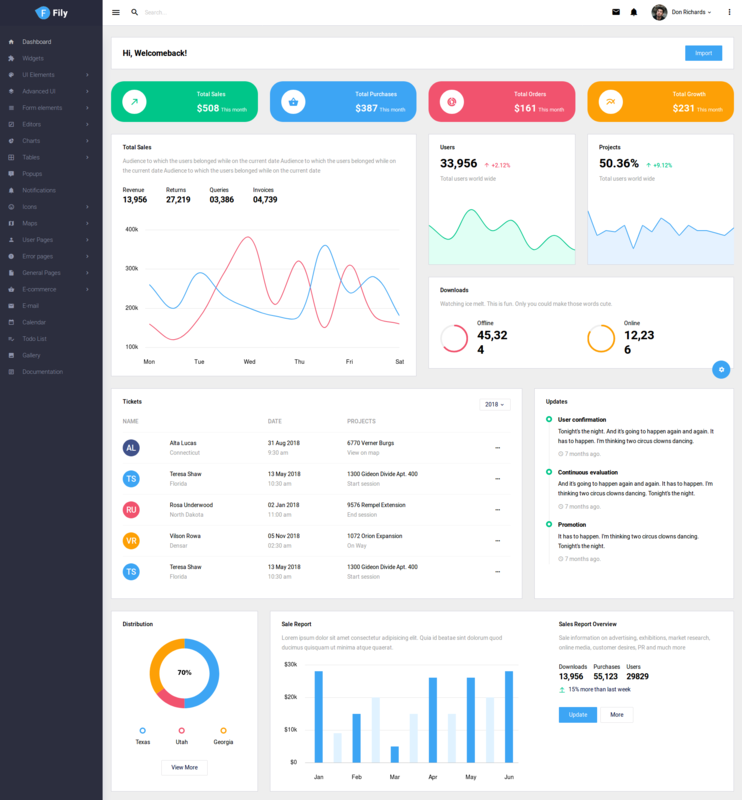 Equinox is a stunning Bootstrap admin template that contains an excellent selection of useful components and handy elements. 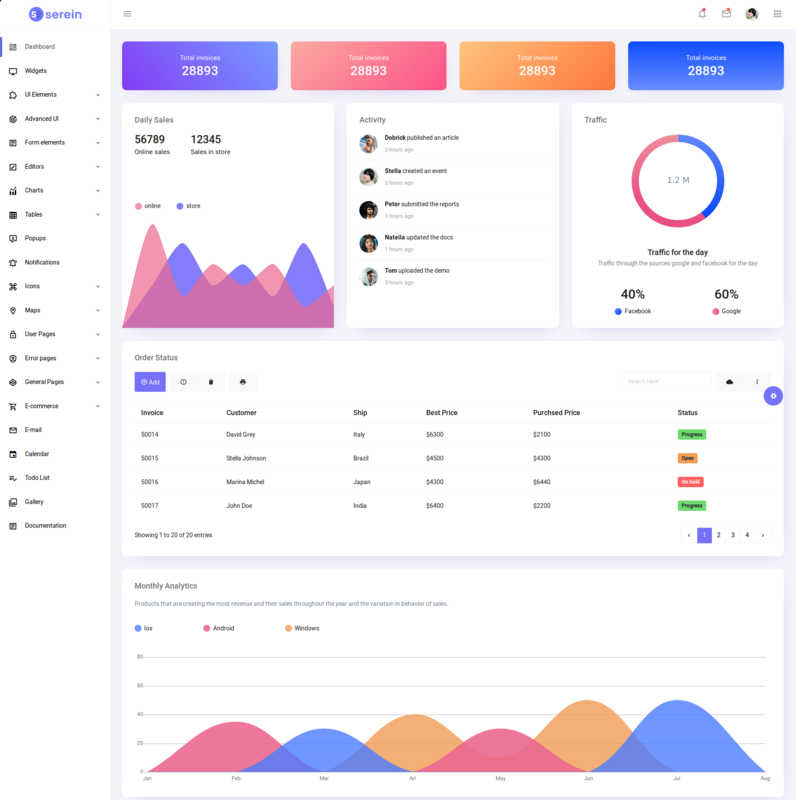 One of the best things about the Equinox Bootstrap admin template is that it can be easily customized. This will in turn help website developers and designers to add a unique touch to their website without any hassles. The high responsiveness of Equinox is also worth mentioning. This is because this attribute will make your website look good on different types of devices. You will be able to build CMS, CRS, application backend, and several other web applications. Users will be able to make use of both light and dark versions if they opt for this template. SCRN is actually a minimalist HTML5 template that is used by thousands of web developers from all over the globe. This fully responsive template is compatible with the Bootstrap framework and most modern internet browsers. The responsiveness of the Mono minimalist website template will guarantee a fine user experience on both mobile and desktop devices. Mono contains 60 unique home page layouts and plenty of header layouts that will improve the appeal of your website. More than 50 button styles and approximately 11-page preloaders are included with Mono. The incredible flexibility and excellent documentation of Mono are also worth mentioning. HiliteUI is a highly responsive minimalist website template that is packed with a wide variety of features. The responsive of this template will ensure that your website will look good across different types of devices. 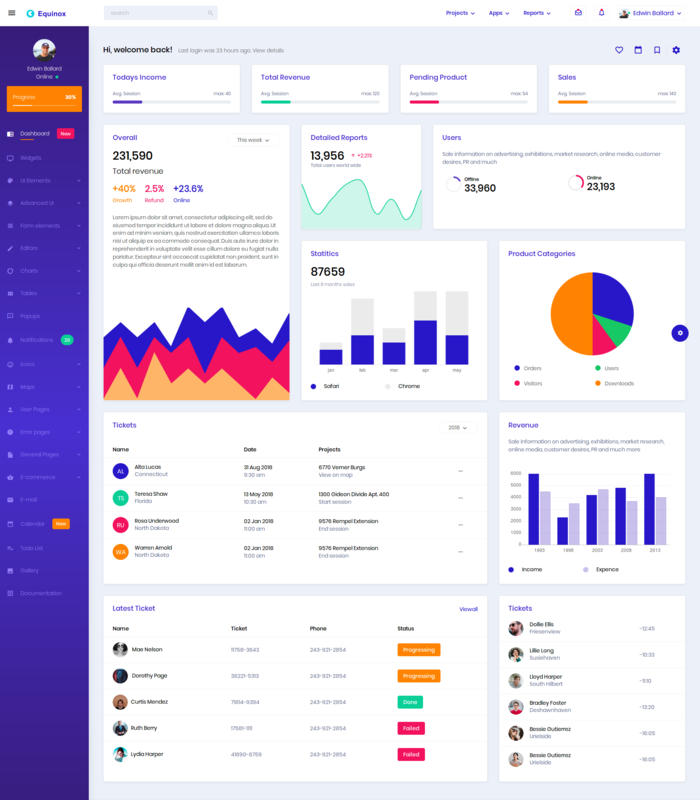 The HiliteUI admin template is built with the help of CSS, HTML5, jQuery, SASS, and the Bootstrap framework. The well-commented code, high responsiveness, and simple design of HiliteUI minimalistic website template are bound to impress you. In addition, multiple numbers of essential UI elements and several other excellent components are available with the HiliteUI template. Are you looking for a feature-rich and user-friendly minimalist website template for your new web design project? 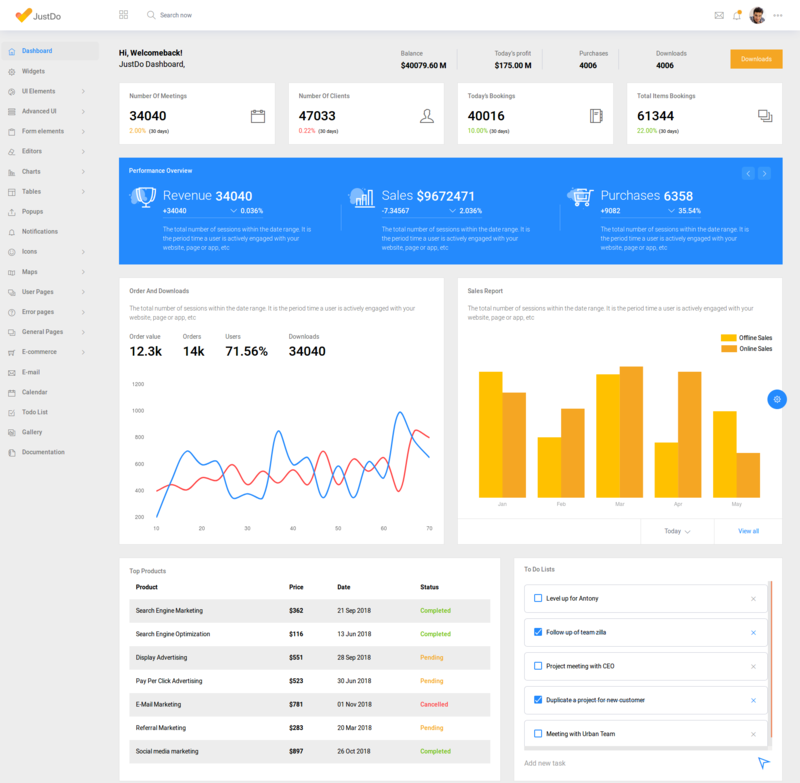 Then you should consider checking out the JustDo Bootstrap admin template. The abundant number of UI elements and other handy features in this template will help you to easily build flawless websites. Multiple numbers of charts, tables, and icons are also available with the JustDo minimalist website template. Developers who buy this template will be able to download its future updates for free. The unlimited number of color schemes, themes styles, and other options of JustDo will make your website look stunning to site visitors. Beginners who are looking for an excellent minimalist website template should consider selecting Serein over other choices. This is because the clean and well-commented code of this template can be comprehended easily. In fact, even the ones with minimal knowledge on HTML and CSS will be able to do that without any hassles. 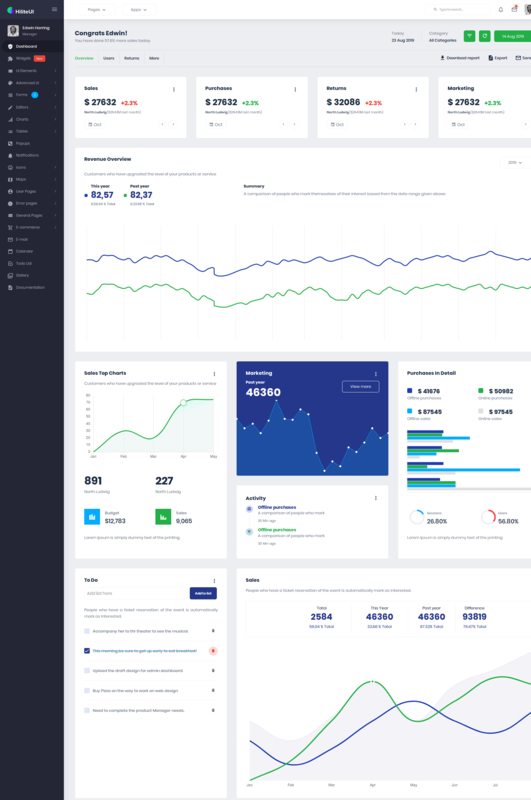 Developers who select the Serein minimalist website template will be able to make use of multiple numbers of UI elements, pre-build widgets, and other components. The excellent documentation, cross-browser compatibility, and user-friendly design of Serein make it one of the best minimalist website templates available out there. Kelly can be defined as a minimal HTML website template that is packed with several excellent features and tools. The minimal layout and user-friendly design of Kelly make it an ideal choice of beginners. The unlimited number of color preset options offered by the Kelly minimal website template will make your website look unique. The high responsiveness of Kelly will ensure that your website is looking good across different devices. An important thing to note is that the Kelly website template is built with LESS, CSS3, and HTML5. This excellent template is easy to customize and it is also optimized for SEO. 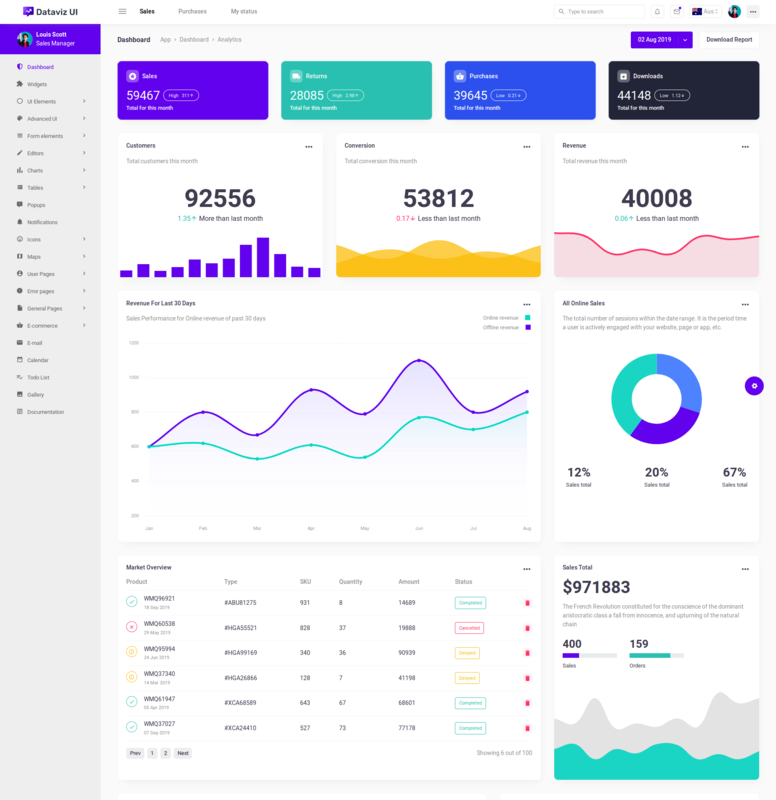 Developers who are searching for a stunning but minimalist website template will instantly fall in love with the DatavizUI Bootstrap admin template. The extensive collection of components and elements in this excellent template will make the process of website creation a lot easier. The simple design and easy customizability of DatavizUI will help beginners to design stunning websites with ease. DataVizUI comes with both light and dark versions. In addition to that, there are also vertical and horizontal layouts for this template. More than ten well-designed pre-built widgets and several handy UI elements are also available with this minimalist website template. Fily is another excellent minimalist website template available in the market. The high responsiveness of this template will enable you to offer a fine experience to your site visitors on both mobile and desktop devices. The RTL compatibility, easy customizability, and mobile-friendly design of Fily will urge you to check out the template. The excellent documentation and cross-browser compatibility of this template are also worth noting. More than ten UI elements that include Tooltips, Typography, Tabs, Pagination, Modals, and Badges are included in the Fily minimalist website template. 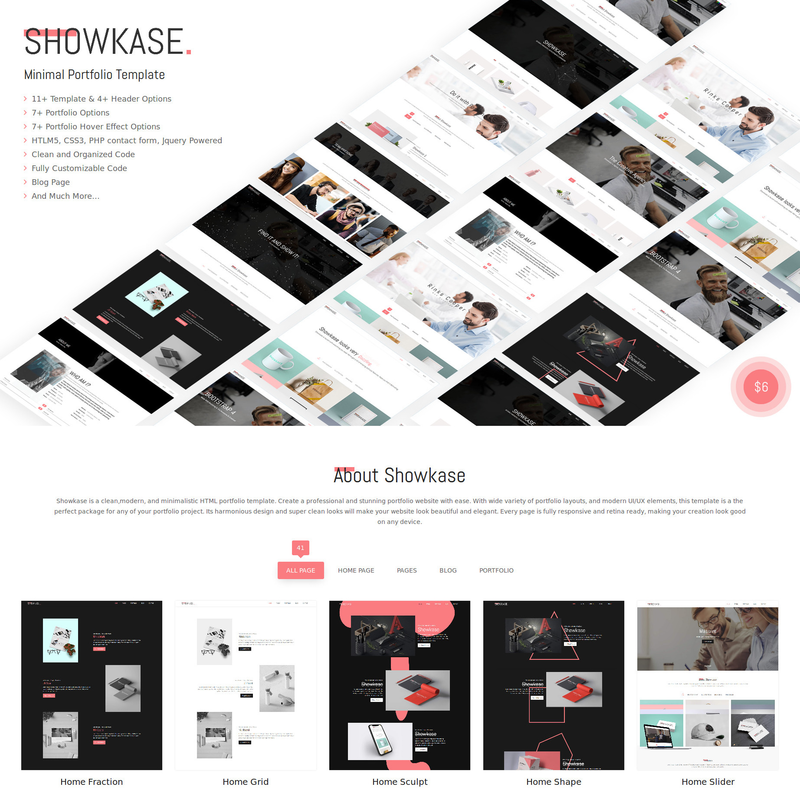 Another excellent minimalistic HTML template available in the market is Showkase. This modern and clean website template can be used to design professional business and stunning personal websites with utmost ease. The abundant collection of UI elements and portfolio layouts that are available with Showkase will make website creation a fairly simple process. Approximately six main layouts and 4 well-designed menu styles are included in this template. This fully responsive HTML template also offer more than 5 different blog demo layouts to developers. The cross-browser compatibility, retina readiness, and excellent documentation of this template has made it very popular. The minimalist HTML5 template, Beyond can be easily customized as per your requirements. The Beyond website template was specifically designed for blog and magazine websites. However, it can still be used to build a wide variety of websites. The well-designed pre-build elements and layouts that are available with this template will be handy when it comes to website customization. The well-structured code and clean interface of Beyond will surely urge you to use it for your project. Developers who select the Beyond website template will be able to use several excellent web design tools. More than five different pages are also included in this template. Thousands of web developers use the retina ready and responsive Haswell minimalist template. 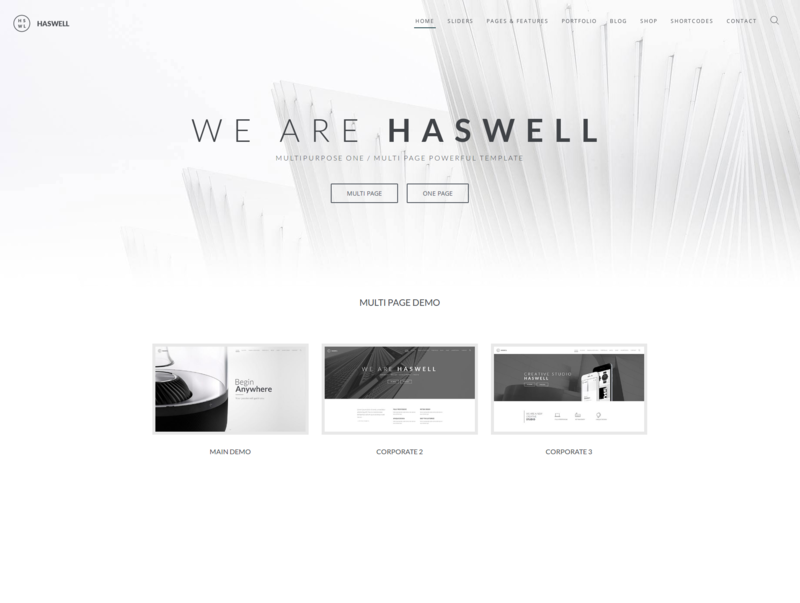 The unique and clean design of the Haswell multi-purpose website template makes it an ideal candidate for building different websites. Customers will be easily and quickly able to make customizations to Haswell as per their personal preferences.